Spanish boat MAPFRE (Iker Martínez/ESP), winners of the in-port race a day earlier, were again the class act as they led the six-boat Volvo Ocean Race fleet out of Newport at the start of Leg 7 after a hugely successful stopover. The crews now face an Atlantic crossing to the Portuguese capital of Lisbon that will test their seamanship to the full, but they could be forgiven for taking one, last, backward glance to the packed docks of the sailing-crazy Rhode Island town. 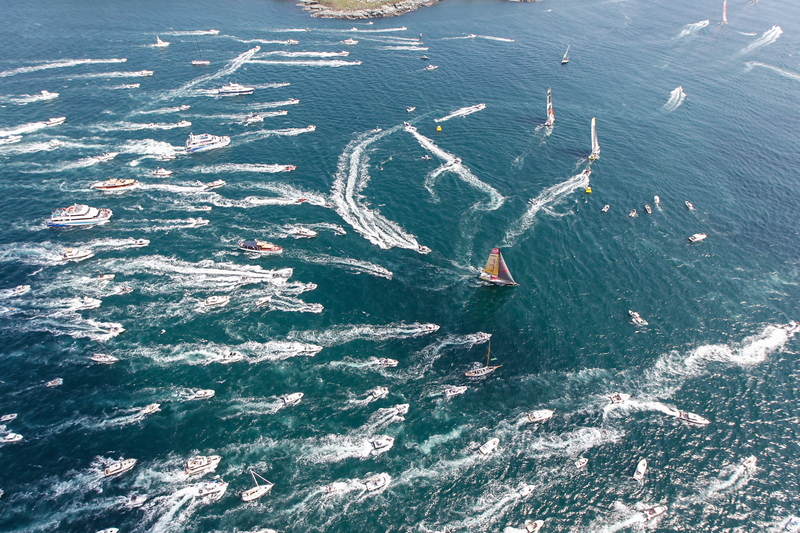 The only North American stopover of the nine-month offshore marathon race has delivered hoards of fans every day to see the boats close up since the fleet completed Leg 6 from Itajaí, Brazil, on May 7. The stopover has been so successful that race officials have changed their normal protocol and offered the Newport organisers a two-month window to seal a deal as the next race’s only North American stopover in 2018. 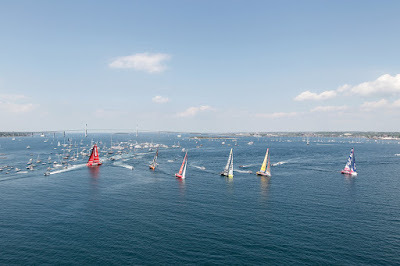 Although official figures will not be announced for a couple of days, Sunday’s attendance in perfect, sun-bathed conditions was estimated by race officials to have topped the previous peak days. 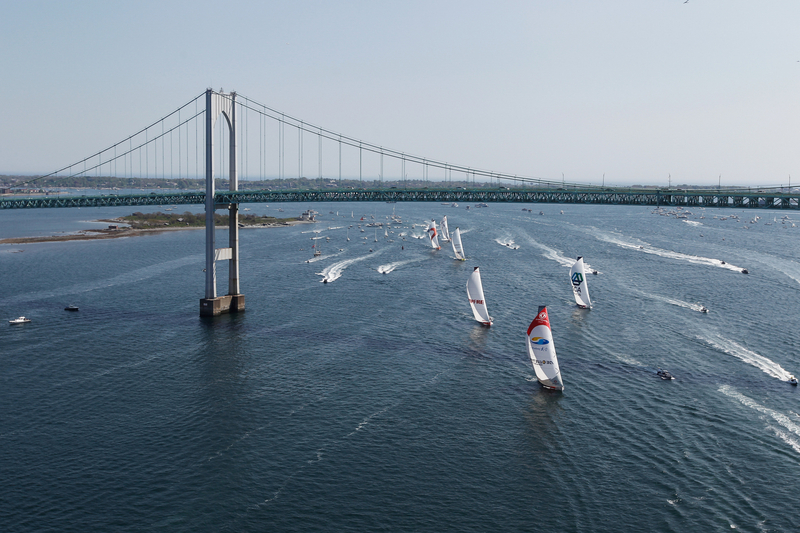 Certainly, the crowds who packed the shoreline, or joined the huge spectator fleet to watch Sunday's action, were treated to enthralling racing which demonstrated the high level of in-shore skills within the fleet. 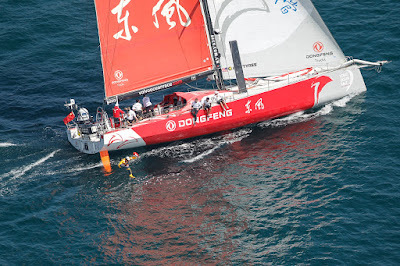 Dongfeng Race Team (Charles Caudrelier/FRA), so determined to cut their six-point deficit to overall race leaders Abu Dhabi Ocean Racing (Ian Walker/GBR), were quickest out of the blocks, reaching the first mark with a comfortable lead. 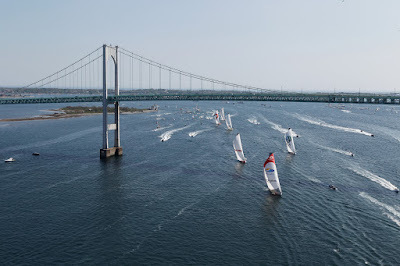 But the racing in Narragansett Bay is rarely straightforward and MAPFRE, buoyed by their Team Vestas Wind In-Port Race Newport win on Saturday, beat off the opposition to take the lead as the fleet left Rhode Island behind and raced off into the Atlantic. 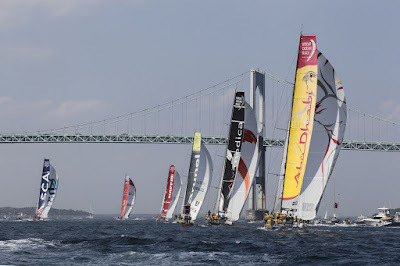 In contrast, Abu Dhabi Ocean Racing laboured at the back of the fleet for the opening circuits of the Bay, just behind local favourites, Team Alvimedica (Charlie Enright/USA), who could not give their homeport quite the farewell they would have liked. Behind MAPFRE and Dongfeng, Team SCA (Sam Davies/GBR) and Team Brunel (Bouwe Bekking/NED) tussled for third place. 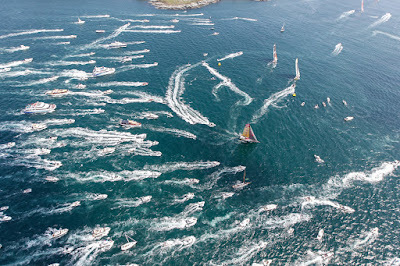 But these were very early skirmishes in a 2,800-nautical mile leg that will take some eight to 10 days to complete. 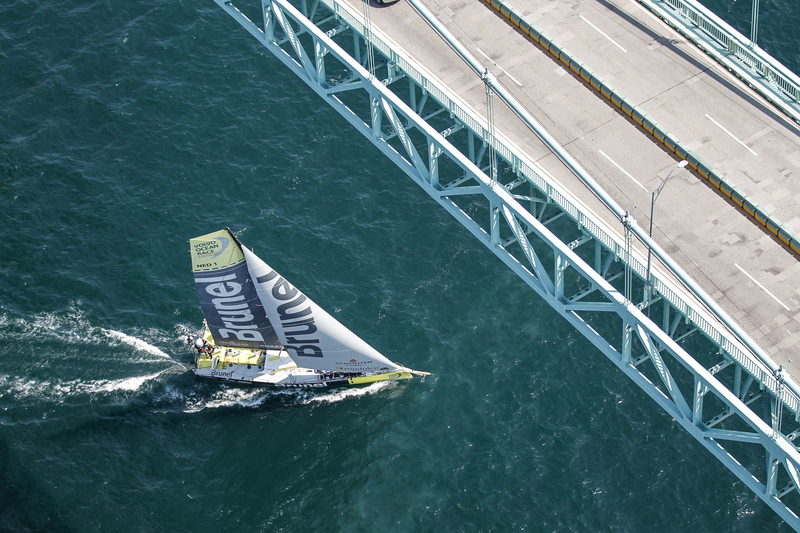 Although Leg 7 is much shorter than those which have preceded it, the route ahead is as challenging as any in the race and memories are still raw from the 2005-06 edition when Dutch sailor Hans Horrevoets was tragically drowned after being swept overboard from ABN AMRO TWO. In the same race, movistar, skippered by Bekking, sunk mid-Atlantic on the same leg and the crew had to be rescued by Horrevoets' boat. 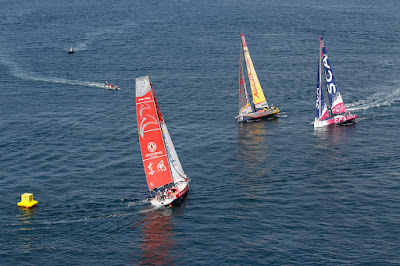 For the first 24 hours of the leg, the fleet should experience comparatively light winds before harsher conditions and the Gulf Stream make their presence felt. 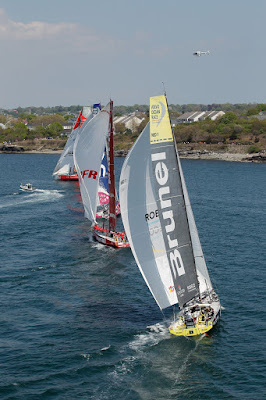 There is also ocean debris, whales, shipping and wildly fluctuating weather to contend with in the North Atlantic. After the Lisbon stopover, the boats will contest the final two legs of the race to Lorient, France, and from there to Gothenburg, Sweden, via a pit-stop in The Hague. 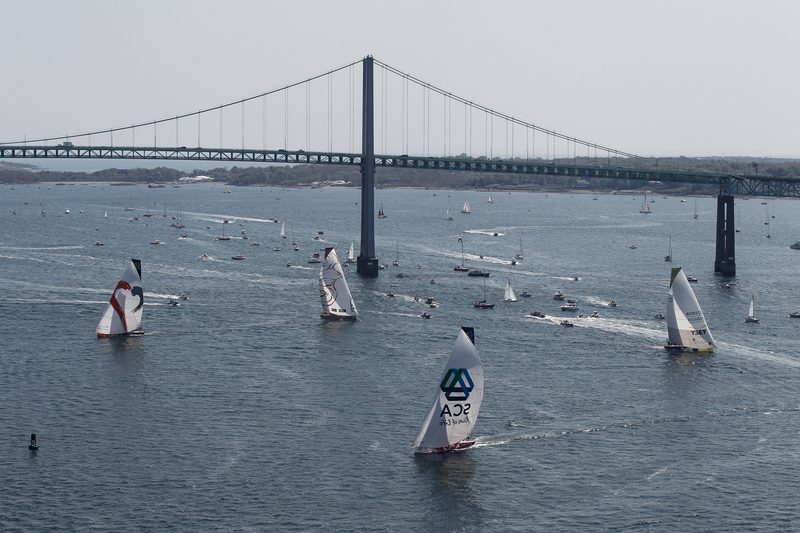 The race concludes on June 27.